Ruled by Saturn, you are the taskmaster of the zodiac. You believe in building solid structures in your love life. And your love life could transform/slowly but surely in 2013, Capricorn. With Pluto in your 1st House, expect to tear down in order to rebuild on some level. You get reality checks in 2013 that could be jarring, but you're efficient and can solve any dilemmas easily. You might find that a slow, methodical and persistent approach works best in your love life in 2015 and beyond. Caution Capricorn: A relationship should not be approached the same way you approach your career this year. These are two separate areas and even though you are the master executive - at the end of the day, you need love just as much as you need your rest and some occasional time off from your career. In 2013, you are learning to juggle career and love and you learn the two are not mutually exclusive. This year you're being asked to look at everything in your life differently and that includes your love life, Capricorn. Love is not always work and in 2013, Capricorn is seeking a close relationship even more and is up for making a serious commitment to the person who can make them feel loved on a consistent level. You're eager, passionate and can overcome any odds, however great they might appear. Look for lovers who appeal to you on an instinctual level first. And be sure to take your time, Capricorn. Many will be drawn to your powerful presence during this long transit of Pluto in your 1st House. Just remember that your personal success is tied to romance in 2013, not to your profession, Capricorn. Mixing business with pleasure can lead to serious trouble in 2013. It's best to think about big changes before you leap into them, Capricorn. You are a cardinal sign and unless someone or something can hold your attention, you might not want to stick around for too long. Conversely, if you find someone who can match you on every level, you will be ready, willing and able to seriously commit to that person in 2013. Let's see which sign complements you best, Capricorn. Aries - You are both cardinal signs so this relationship could find Capricorn feeling restless but equally secure with Aries. Aries gets a boost in prestige from Capricorn. You are both great at starting projects and relationships but unless someone holds your attention, you both are likely to stray. If rules are established and the trust is there, why not live and let love? Aries and Capricorn can make a relationship last if they really want to and they will. Taurus - Capricorn meets Taurus and wants to explore this attractive and compatible play mate. Capricorn senses that Taurus has much in common with them. Capricorns intuition turns out to be 120% accurate. Capricorn finds Taurus physically appealing and Taurus feels the same. These two can get married, divorced or expand their family life in 2015. Travel, children and where these two live will become serious topics over time. It might take some patience from Capricorn to make this relationship work. Advice: Be supportive with Taurus need for space and decision making and Capricorn will have landed a dream love for life! Gemini - Gemini reminds Capricorn how important health, work and wellness are. Capricorn will meet Gemini and want to get serious about important issues such as health, wellness and diet via Capricorns connection to Gemini. There is attraction between the two of you and there is also a strong sense of education, especially regarding areas like repair, maintenance, illness and day to day living. Capricorn gets educated while Gemini teaches Capricorn about the healthy and practical side of daily life. 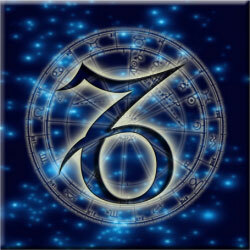 Cancer - Cancer is your 7th House of marriage, contracts and legal issues, Capricorn. Cancer meets Capricorn and wants to make it official on the spot. Capricorn is flattered by the attention from Cancer but might have reservations about Cancers emotional side. After time, these two really begin to click. This relationship gets better over time and eventually Capricorn sees the light and might decide to make a serious go of this love story. Capricorn learns about legal rights and permissions and Cancer can find his or her dream lover in this association. You complement each other perfectly. Leo - When Capricorn meets Leo, Capricorn sees someone just like them, or so they think. Leo appeals to your desire for the good life, a successful career and a HAPPY family and home life, Capricorn. You have more in common than both of you first believed. Capricorn learns about obscure subjects with Leo and Leo learns about having to be in a long term/monogamous relationship with Capricorn. In 2015, this is a powerful pairing that can help one another flourish in their respective areas of interest. Virgo - Here is a top choice for Capricorn. Virgo is thought provoking and gives Capricorn exactly what Capricorn is looking for. Stability, security and fulfillment enter the picture over time and before anyone knows it, these two are madly in love. Virgo receives the ideal amount of attention from Capricorn. These two can make it official in 2015. Take a chance with Virgo in 2015, Capricorn. You won't regret it. Libra - Libra teaches Capricorn about career, success and how to handle life's ups and downs. These two signs are both cardinal ones, so it will be important that the feeling is mutual or one or both of you will get bored. Both of you feel that there could be something better but might not disclose this to one another. Libra must be aware that Capricorn will eventually expect hard work and assistance from Libra. Capricorn is driven by status and success whereas Libra just wants to engage in the good life. Capricorn won't let that mentality fly, Libra. Capricorn will demand that Libra steps up and participates in the life of the living. No ifs ands or buts. Scorpio - Capricorn meets Scorpio and senses that these two have more in common than Scorpio even suspects and that says a lot about Capricorns intuition. Capricorn senses Scorpios strong attraction and overtime these two can fall madly in love and marry quickly. Scorpio encourages Capricorn to be the best they can be and Capricorn will sense the powers of their persuasion with a Scorpio. These two can become partners, friends and associates. Scorpio helps Capricorn climb the ladder of success and Capricorn gives Scorpio the comfort of a secure romantic life. Sagittarius - Sagittarius rules your 12th House of secrets, privacy and the deep past. There could be secrets in this relationship with Sagittarius, Capricorn. It could be as simple as Sagittarius finds you so attractive that they prefer one on one time together as opposed to going to parties or public events together. Either way, there will remain an element of privacy in this relationship. Either both of you know what that is and keep it between you or you both decide to keep this relationship forever hush hush/quiet. Capricorn will stumble upon some of Sagittarius secrets suddenly and quite unexpectedly. Capricorn - Capricorn with another Capricorn is not as ideal as one would think it could be. Remember that there are other factors to consider when determining compatibility (such as Moon, Rising Sign, Mars and Venus placements/elements) and while initially these two connect, over time, one of you will fall victim to self deception. Tiger Woods (Capricorn) and Elin Nordegrin (Capricorn) are a perfect example of how this goes down after an extended period of time. And the last thing anyone wants in 2015 is more drama. Aquarius - Capricorn and Aquarius are more compatible than most people would suspect. Capricorn can make a fortune with Aquarius and Aquarius can share his or her darkest and deepest secrets (if any) with Capricorn. In 2015, these two can bond closer over big life changes such as a domestic adjustment, loss of a job or anything else that comes up. Capricorn has found a friend and lover for life and Aquarius feels more content, cared for and tended to in this relationship - especially in 2015. Pisces - Here is another top choice for Capricorn in 2015. Pisces is someone Capricorn takes one look at and decides to take a risk and it usually pays off for both. This dreamy lover will take you places you have only dreamed of, Capricorn. Capricorn is mentally and physically stimulated with Pisces and Pisces feels that Capricorn is someone they can trust implicitly. This relationship moves mountains. The two of you grow closer in 2015.